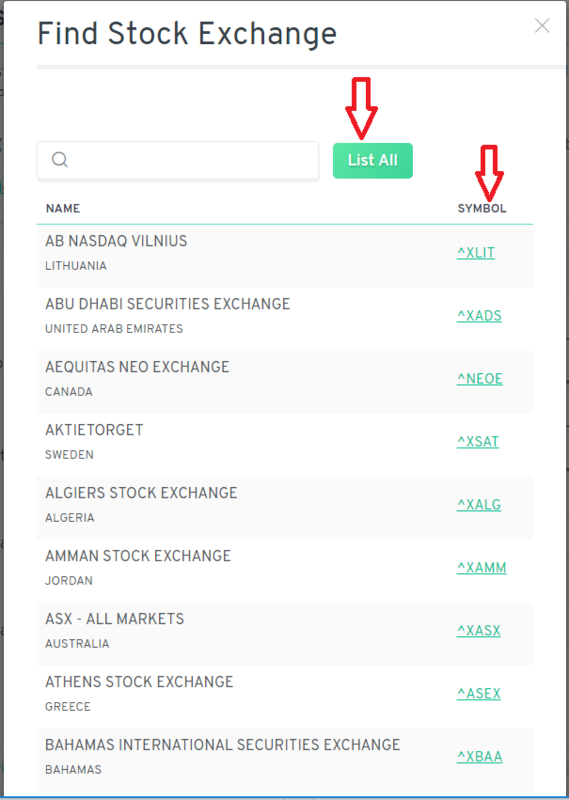 This article will show you how to pull a list of stock exchanges from around the world as well as the end of day (EOD) stock prices from those exchanges in CSV format. 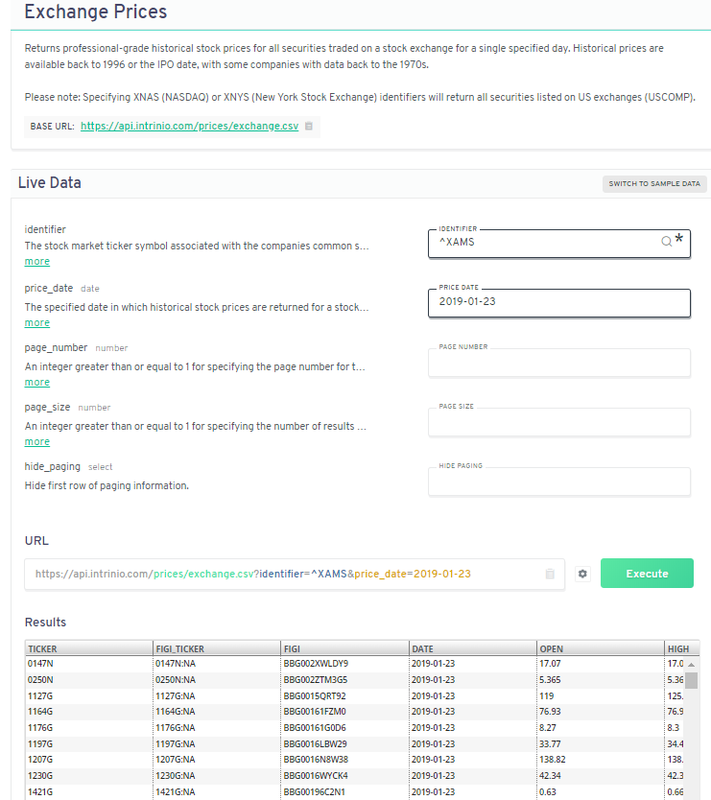 The data includes open, high, low, close, date, and volume (OHLCV) for all stocks trading on more than 160 international exchanges. In order to pull the data, you'll need a subscription or free trail. 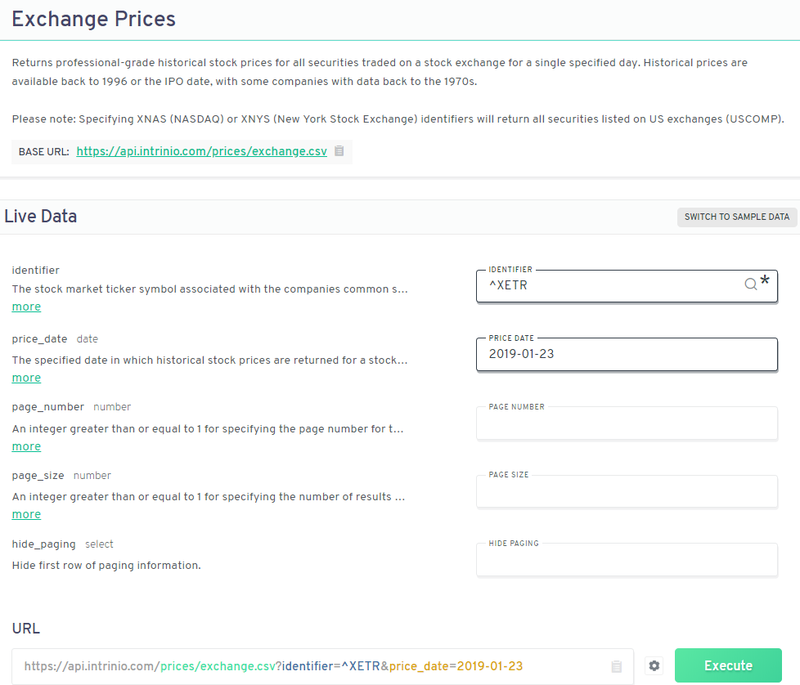 You can find the all exchanges we offer in our markeplace and filter by geographical area: South America, Caribbean, Europe, Asia, Africa, Middle East, and Pacific. 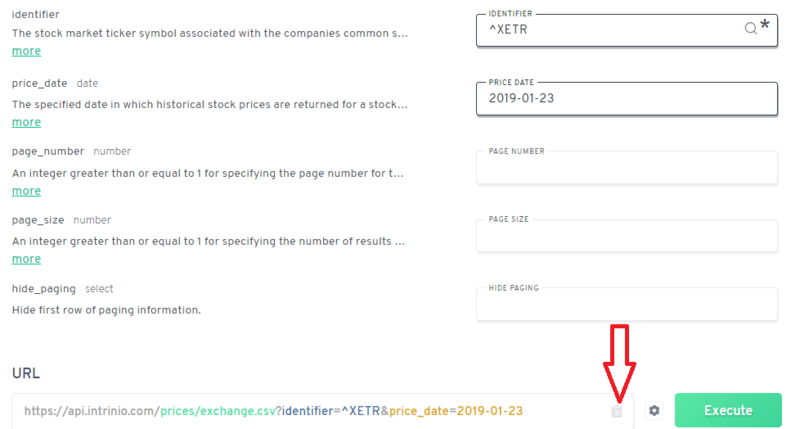 If I am interested in stock prices from the Amsterdam Stock Exchange, I can scroll down and click the green icon for that exchange and it will automatically appear in the "Identifier" box as "^XAMS". Then I can change the date parameter to pull data for any historical date I'd like. 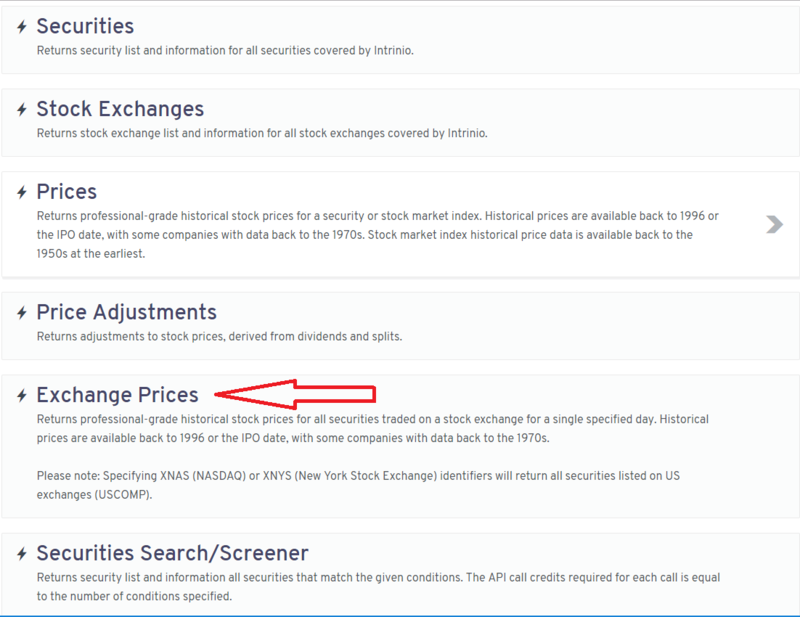 Data becomes available after the close of trading on the exchange, so if today were January 10th, I could pull data for January 9th or possibly January 10th if it were later in the evening after the exchange released its stock prices. You can update the date in the URL to pull data without using the API explorer. 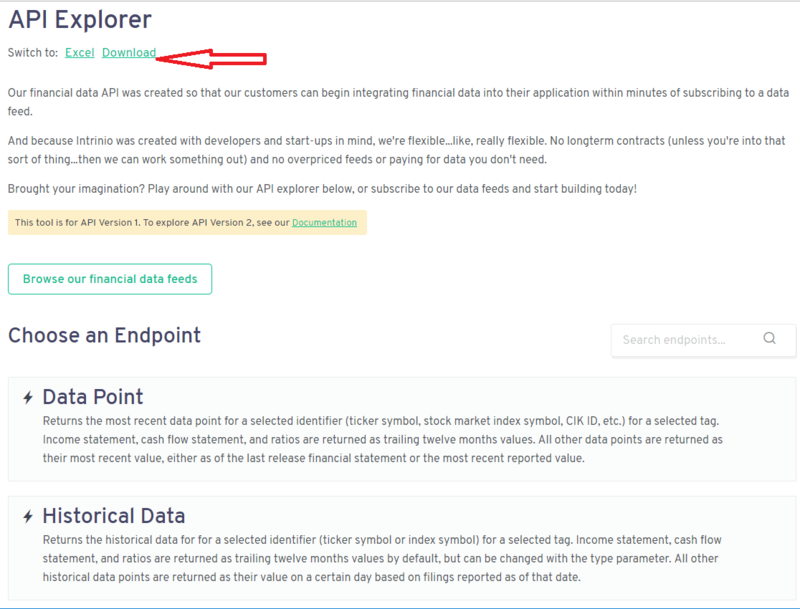 This same methodology can be used to pull other types of Intrinio data, when you choose endpoints in the API Explorer.